UNITED NATIONS, Jan 24 2018 (IPS) - Though 2017 was marked by stories of humanitarian disasters around the world, many crises remain under the radar with devastating consequences for those affected, a new report says. While crises from the United States to Myanmar made global headlines, a report by the international aid organization CARE aims to shine a spotlight on the humanitarian crises that have been largely neglected by the international community. “We all know that a single photo can make the world turn its attention to an issue. But the people in the countries featured in CARE’s report are far away from the cameras and microphones of this world,” said CARE International’s Interim Secretary General Laurie Lee. “We rarely hear about people suffering in parts of the world that are not popular tourist destinations, considered a low priority for global security or simply too hard to reach,” CARE’s global humanitarian communications coordinator Johanna Mitscherlich added to IPS. While much of the focus has been on nuclear tensions, the report ‘Suffering in Silence’ found that North Korea’s humanitarian situation has been overlooked by the media. The UN estimates that 18 million North Koreans, or 70 percent of the population, are food-insecure and are dependent on food aid while two in five people are undernourished. Coupled with the country’s political regime is its frequent natural disasters such as prolonged droughts which have exacerbated the humanitarian situation. In July 2017, North Korea experienced the worst drought since 2001, affecting crop production and food security. Among the most vulnerable are women and children. Nearly one-third of all pregnant and lactating mothers and more than 200,000 children are estimated to suffer from severe acute malnutrition. 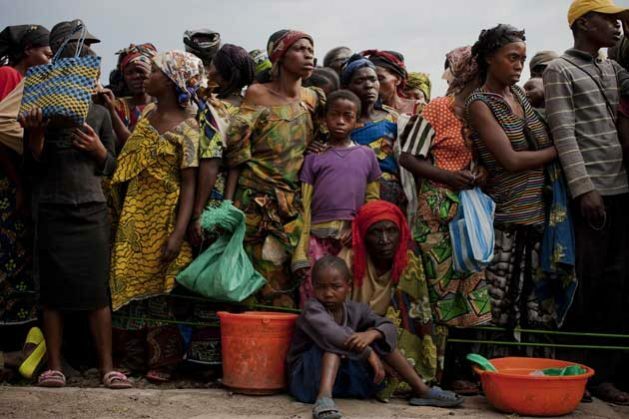 Out of the 10 crises that the report highlights, seven of them are in Africa and among them is the Democratic Republic of the Congo (DRC) which has seen a surge in violence and a dramatic deterioration of humanitarian situation. Over four million Congolese are displaced, two million of which fled their homes in 2017 alone. The conflict has destroyed schools, clinics, water infrastructure, and farms and has left almost nine million people in need of humanitarian assistance, a figure that is expected to increase to over 13 million in 2018. Almost two million children also suffer from severe malnutrition, making up 12 percent of the world’s acutely malnourished children. The lack of crisis coverage not only affects public awareness, but it also directly impacts the level of humanitarian funding and thus the lives of those affected, Mitscherlich told IPS. Of the 10 most under-reported crises this year, six are also on the UN’s list of most underfunded emergencies in 2017. For instance, Central African Republic received just 39 percent of its funding appeal while North Korea received 31 percent. “When we speak about forgotten crises, we speak about forgotten people…those with a voice in public, from media representatives to politicians and organizations like CARE, have a social and moral responsibility to shine a light on crises that are mostly off the radar,” Mitscherlich said. With a global humanitarian appeal of nearly 23 billion dollars to assist 91 million people around the world, CARE noted that media attention can help focus public support for those needs. However, the responsibility of improving crises coverage not only lies on the media but also on aid actors, governments, and other actors working to facilitate media access. Among the report’s recommendations are for NGOs to invest in trained communications and media specialists to tell the media and thus the public of the realities on the ground and to call for action. By keeping media informed, a crisis is less likely to be forgotten and facilitate a push for political change. “It is important for all actors – including the media, aid agencies, donors and other institutions – to continue to work together and make sure that humanitarian crises globally receive the attention they need,” Mitscherlich concluded.